The year was 1978. In his best-selling Sportsmedicine Book, Dr. Gabe Merkin coins the term RICE (Rest, Ice, Compression, Elevation) for the treatment of athletic injuries. The popularity of RICE becomes so widespread and accepted in the American community that not only is ice the go-to method for treating athletic injuries but also for chronic pain and any type of inflammation, including tendonitis. 1. Tom suggests ice as a treatment to his Chinese teacher a few years later. 2. Ice becomes the gold standard of treatment for athletic injuries from coaches, physical therapists, chiropractors, doctors and laypeople in America. Why do we so readily ice injuries and painful areas? 1. Because that’s what we’ve been told to do to reduce inflammation and pain. 2. Because the injured area sometimes feels better temporarily. 3. Because we don’t know what else to do. 1. Delay the release of certain hormones, such as Insulin-like growth factor (IGF-1). IGF-1 helps muscles and other injured areas to heal. 2. Constrict blood vessels near the site of the injury, thus shutting off blood flow to the injured tissue and possibly causing the tissue to die from decreased blood flow while also possibly causing permanent nerve damage. And this is all from a Western point of view. 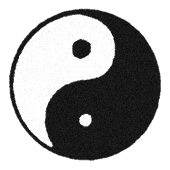 It would take a whole other blog to talk about the harmful effects of icing from a Chinese medicine point of view (but I do give a short version from a Chinese medicine perspective below). Because Josh Schneider, LAc and I follow the wisdom our teachers, we don’t use ice for injuries, ever. That’s why we ask if a person with an acute or chronic injury if he or she iced the injured area. If the person did ice the area, we know that our job will be that much harder. We most likely will need to use some form of heat to drive out the cold that was introduced to the area, and we know that the injury will generally take longer to heal completely. What is the ice really doing in a basic way? 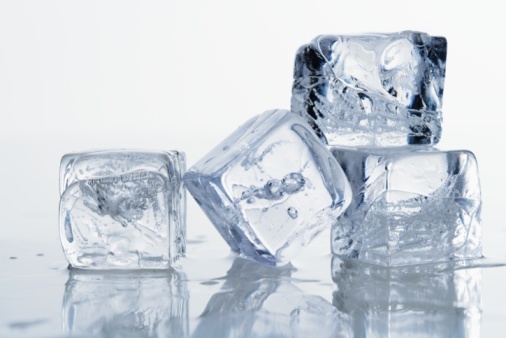 It’s slowing everything down, true – including swelling and inflammation (that we need), and as I’ve mentioned above, ice constricts the blood vessels, thereby slowing down blood supply to the injured area. But if there’s bruising on an injured area, blood is already out of the vessels. What happens to that blood when it’s iced? Ice causes the blood to coagulate and perhaps even crystalize. This blood can settle into the tissue and causes long-term stiffness and pain. That’s why it’s not all that uncommon to see old bruising still hanging out under an ankle that was sprained a couple months ago. That old coagulated blood is still causing problems, and it’s not going anywhere without assistance. 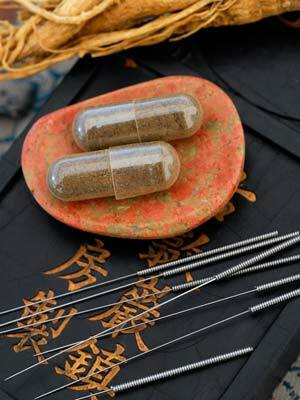 What does Chinese medicine think about ice? Ice is cold. Cold is considered to be an ‘external pernicious influence’ that can cause disease and pain in the body. Injured areas of the body are more susceptible to external pernicious influences. Therefore, applying cold to an injured area allows the cold to sink deep into the injury. So on top of trying to heal the injury, your body has to do something with the cold that was also introduced. Often, the body can’t expel the cold without help. The cold settles into the joint and then that joint that was injured years ago “acts up” when it’s cold outside. Do you think icing is still a good idea? If you do, you’re not alone. There are many in the medical community that still dogmatically stick by and defend the RICE method, despite evidence to the contrary. Why are we so reluctant to trust our body’s ability to heal? Inflammation is a natural process after an injury – a natural process that will heal the injury. To delay inflammation is to delay healing. What should you do instead? Check out Dr. Merkin’s article. He gives recommendations for what to do – even icing – but limited icing and not after the first 6 hours. Also, a useful guide for treating injuries is A Tooth from a Tiger’s Mouth. If you’re in the Broomfield area and have an sports-related injury, a chronic injury that is slow to heal, or recurring pain, make an appointment for a free consultation to hear for yourself how we would treat the injury here at Cloud Gate Acupuncture and Healing Arts. We have several tools at our disposal to treat your injury that other practitioners may not have: from herbal soaks for tight tendons, liniments and poltices for topical treatment, herbs to take internally to reduce pain and help you heal faster, and of course, acupuncture. All of these tools are a different approach to treating injuries and are very effective at reducing swelling and pain while helping you get back to the activities and way of life that you enjoy. Spring and summer are full of fun activities. Don’t let a sprain or chronic injury keep you from participating in the activities you love to do – call for a free consultation or set up an appointment online today.